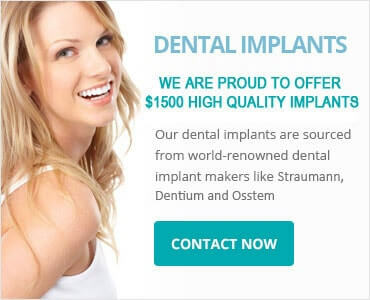 Should I opt for dental implant overseas? Dental implants are the small titanium fixtures that serve as a replacement for the root portion of a missing natural tooth. The implants are placed in the upper or lower jawbone and they bond with the bone over time, serving as an anchor for the replacement tooth or bridge. The replacement tooth/bridge is held in its place by a screw, which is inserted into the titanium fixture. After considering the existing teeth, a ceramics technician will construct a crown or bridge from an ultra-strong, biocompatible material. This would appear as natural as original tooth and it is often indistinguishable from your existing natural teeth. Why should one opt for Dental Implants? Dental implants are the permanent solutions for a missing or broken tooth. Unlike the dentures, it will not fall off, as it is fixed with a screw. Who can get teeth implants? As the key consideration for a dentist evaluating the suitability for a tooth implant is the amount of available bone, one cannot say that only people of certain age can get teeth implants. In tooth implants, the health of the person is considered important than his age. The general rule is that anyone who is healthy to have a tooth extraction can have an implant as well. Hence, people suffering from some chronic diseases may not be able to receive teeth implants. The major benefit of teeth implant is that it is a permanent solution. Apart from a periodic review, there are not many processes in the implant. Also, in the end, an implant could prove to be more economical than a denture. The cost also depends on a variety of factors such as the dentist opted, materials used, location and the severity of the problem among others. Typically, there are two components of cost – one is the cost for the surgical procedure and the other, the cost for attaching the posts and constructing your replacement teeth. Consulting a local dentist is advisable than going for overseas experts. Overseas dental implants could be costlier and unreliable. There might not be any guarantee if things go wrong. How long will my tooth implant last? With proper care, your tooth implant could last for a lifetime! Dental implants placed in patients over 35 years ago are functioning even now. For more information and clarifications, call us on 1300 850 072. Our representative will answer any other queries you might have.